In the current context of empowerment and livelihood generation, a strong narrative rests with organisations like Gramshree in Gujarat. Gramshree is an umbrella organization whose mission is to enable women to be catalysts of sustainable economic and social change in order to strengthen their families and positively impact their communities. 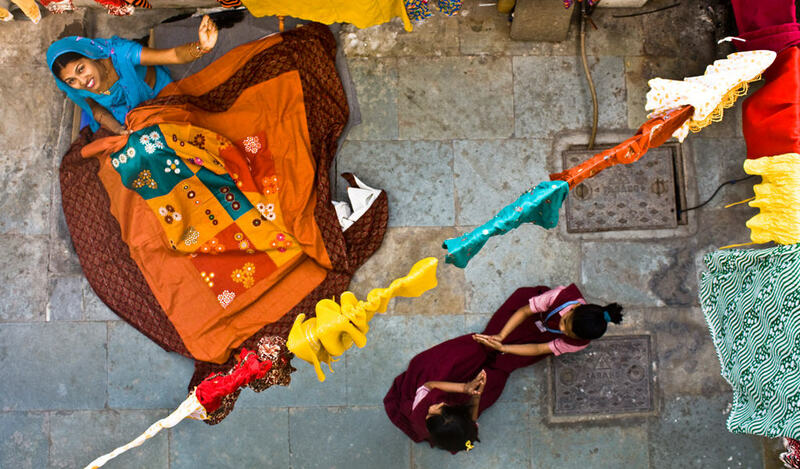 In India , craft continues to enrich the culture and plays a significant role in daily life. It is also a way of life for thousands of families, who have inherited their skills and trade from ancestors and continue to depend on craft for their survival. However despite the beautiful fabrics they weave, the earthen masterpieces they mold or wooden canvases they paint with intricate carvings, the livelihood of the artisans is still a struggle. It is in this field that Gramshree plays a vital role. They believe in equipping artisans with all the necessary support to ignite an entrepreneurial spirit in them. Gramshree works in the slums and lower income areas of Ahmadabad and the rural regions of Patan and Kachchh. Their strength now exceeds more than 500 women across several districts. Over time it has decentralized into self- help groups which consist of 10-15 women and a leader and their mandate not only stresses on income generation and empowerment but also creates awareness on issues such as health, nutrition and education. 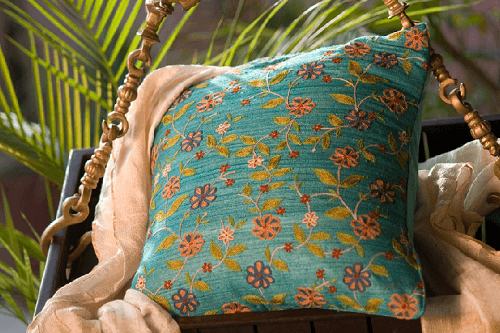 Among the many beautiful products crafted by them , are the line of home products in bead and thread embroidery. Gujarat is the centre for Bead Craft, also known as Moti Bharat. 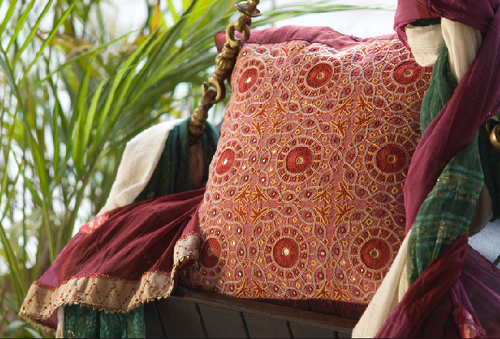 Bead craft is the art of making accessories and home décor products using threads and myriad beads of every hue. Colourful beaded ornaments were traditionally used by the tribal communities of Gujarat. These ornaments were the preferred means of personal ornamentation as they serve as an inexpensive alternative to silver while displaying a unique local aesthetic. Red, green, white, black, yellow and blue beads, known as moti, are usually bought at Chota Udaipur. The bead work, executed with nylon threads, is usually undertaken by the tribal women in leisure hours. Woolen threads are selected for use in the remainder of the ornament due to their availability in a wide range of colours. They are so strongly stitched together that there is no need for a fabric to hold them down. Although practiced primarily in the tribal regions, bead work is also executed in other regions of Gujarat such as in the district of Mahesana where the typical products made include beaded pot rests or indhoni. Today, it has evolved beyond traditional lines and through training the women artisans of Gramshree produce a stunning array of new products. Our bead and thread work coasters and mats is just one example.